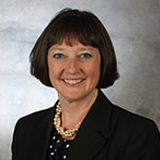 Dr. Jayne Downey is the Department Head for the Department of Education at Montana State University. 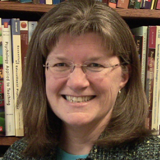 Dr. Downey’s academic background is in educational psychology and her research examines the nature of learning and learners, the characteristics of effective teaching, and the contextual factors that influence the teaching and learning process. Dr. Valerie Martin Conley is the Dean of the College of Education at the University of Colorado Colorado Springs. She is a nationally recognized university administrator, higher education researcher, author, and professor of 27 years. Dr. Conley’s research interests include: strategic planning, accreditation, policy, and higher education research. Dr. Jenny DeMonte is a senior technical assistance consultant specializing in teacher preparation and licensure with the American Institutes for Research. In her current role, she focuses on leveraging the strategic expertise and thought leadership at AIR and beyond to transform it into resources for the education field, including practitioners and policymakers. 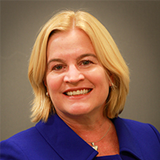 She is a major contributor to the CEEDAR Center’s TA product development.